The Wegner chairs have a life of their own. Hans J. Wegner is among the greatest of furniture designers, and he must also have been one of the most productive. His production counts more than 1000 models. His designs have been described as timeless, everlasting, and perfect. Now Carl Hansen & Son introduces two chairs from Wegner’s early design. The CH22 lounge chair from 1950 and the CH26. 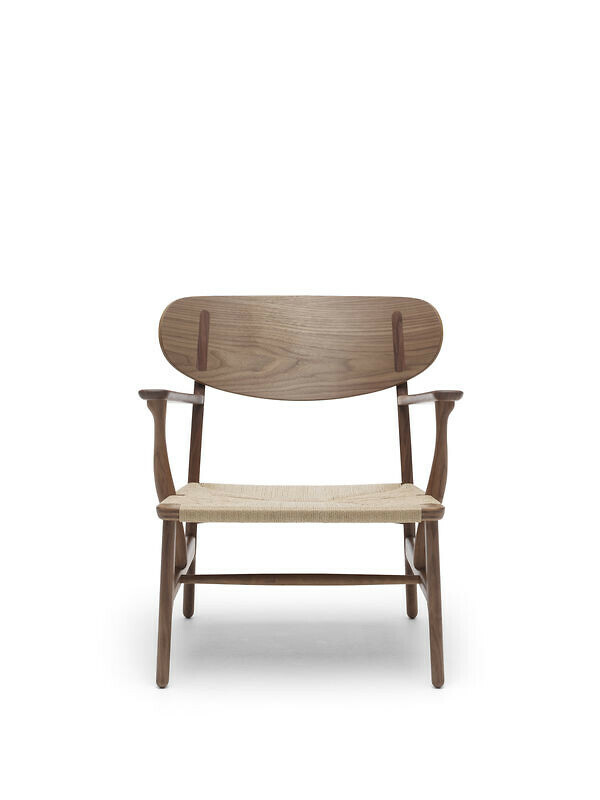 They are from the very first collection in the collaboration between Wegner and Carl Hansen & Son. The CH22 is a complicated and detailed construction but the process of production has been modernized but craftsmanship is still a central part of the process. With a background as a skilled cabinet maker, wood played a central part in Hans J. Wegner’s chair design, and he had a special talent for using the characteristics of the material to create surprising and sculptural lines. Not only are the new chairs appealing to the eyes. They are comfortable as well. Already tested and admired by yours truly.